Lloret de Mar, a destination on Spain’s Costa Brava that has a reputation for being popular with the young crowds and those looking to party. 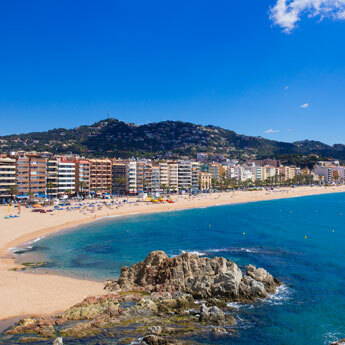 However, what most people don’t know is that Lloret de Mar has a lot of hidden beauty that appeals to families, couples and those looking for a bit of real Spanish culture. Here are some of the places you won’t believe are in Lloret de Mar! In between the busy souvenir shops, narrow lanes and local restaurants, lies the striking Church of Sant Roma – a colourful landmark in the centre of Lloret de Mar. This church, which is decorated in blue, green, red and purple mosaic tiles with whitewashed walls, certainly stands out in Lloret de Mar’s warm sunshine. You have 3 Euros in your pocket, a love for cats and an hour to spare after lunch. Where else is there to go apart from Lloret de Mar’s cat museum? With over 10,000 cats in the form of paintings, statues, pottery and clocks, it’s probably the last thing you’d expect to see in a coastal resort but it’s here! And how can you resist a museum full of cats? The coast surrounding Lloret de Mar is stunning. The best way to see how beautiful it is, is by doing the coastal walk from Lloret de Mar to Playa de Fenals. 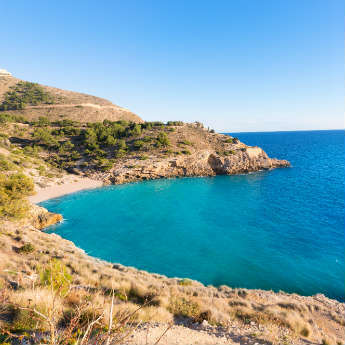 Set off from Lloret de Mar, take a walk up the steps to see spectacular views of the beach, walk around the wild cliffs and lush woodland then onto the sweeping beach of Playa de Fenals. Make sure you take your camera for all the photo opportunities along the way! 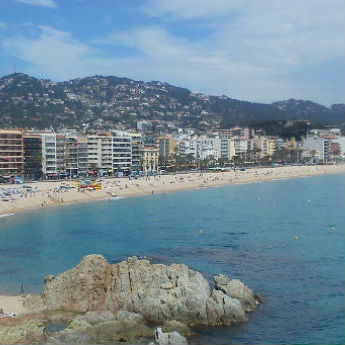 Did you know that Lloret de Mar has more than one beach? Explore this resort's coastline and you’ll find tiny little coves and quiet beaches further down the coast. One of the best ways to do this is by hiring a boat or heading out on a catamaran tour for the day! Landscaped into a cliff overlooking Lloret de Mar, Santa Clotilde Gardens are home to lush, scenic gardens, tall pencil-like trees, ornate statues and a view over the sea which is to die for. This area is a stark contrast to that of the sandy beach but if a peaceful afternoon among grass lawns and colourful flowers is what you’re looking for then Santa Clotilde Gardens are certainly worth a visit. By Emma Hart - Loving Lloret de Mar!